Facing conflict of interest proceedings under tightened EU rules, billionaire Czech Prime Minister Andrej Babiš may soon become the first European politician found in violation of the bloc’s new law. Babiš, the second wealthiest Czech, is suspected of still owning the sprawling Agrofert chemicals, food and media group despite having formally transferred ownership to trust funds to comply with the law. Separate proceedings sparked by the anti-corruption watchdog Transparency International and the opposition Pirate Party show that Babiš has reason to worry. 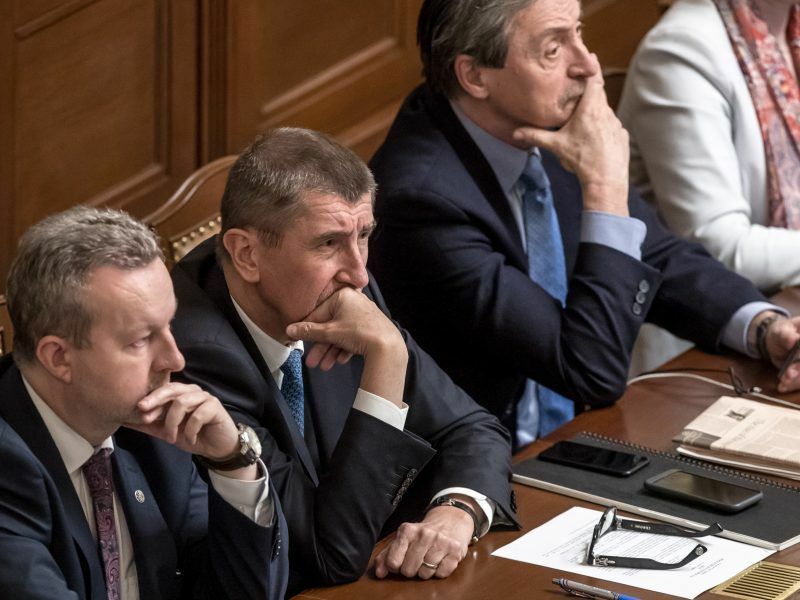 Last month Babiš’s minority government lost a confidence vote, forcing him to try to cut a deal with opposition parties to stay in office while he battles the allegations. Czech Prime Minister Andrej Babiš’s minority government lost a confidence vote yesterday (16 January), forcing him to try to cut a deal with opposition parties to stay in office while he also battles allegations of subsidy fraud. “Agrofert gets EU subsidies, Czech subsidies, and takes part in public procurement,” David Ondracka, head of the Czech branch of Transparency International, told AFP. Last September, Transparency and the Pirates asked the European Commission whether Agrofert was entitled to receive billions in EU agricultural subsidies if Babiš still controls it. They also sent a complaint to the town hall in Cernosice, responsible for Babiš’s place of residence near Prague, alleging that he violated a Czech conflict of interest law by owning media. Both the European Commission and Cernosice have suggested that they are inclined to believe the allegations. Babiš has flatly denied any involvement in Agrofert’s activities during his time as prime minister, labelling the Pirates as “informers”. “You have squealed on me in Brussels, you have squealed on me in Cernosice,” he said in parliament last week. The Cernosice town hall said in January that it had made its decision but refused to make it public. Only Babiš knows the details. “I definitely disagree (with the decision). It’s become a political thing. I will definitely file an appeal,” Babiš said in response. In a leaked document, EU lawyers said Babiš’s dual role as premier and tycoon “qualifies as a conflict of interest” since public officials should not decide on EU payouts for companies they ultimately control. The Commission halted subsidies to Agrofert and sent auditors to check Babiš’s business pending a final verdict expected by April. It is also looking into subsidies Agrofert received from 2014 when the Slovak-born ex-Communist Babiš became finance minister in the previous coalition government led by the Social Democrats. Babiš, whose meteoric rise in politics has been dogged by controversy since he founded the populist ANO movement (ALDE-affiliated) in 2011, also faces criminal charges at home over alleged EU subsidy fraud from 2007 valued at some two million euros. He has also been hit by allegations that he served as a secret police agent in the 1980s when the former Czechoslovakia was under Moscow’s rule. Ondracka said Transparency had used information from beneficial ownership registers introduced across the EU last year as part of the bloc’s drive against money laundering. A legal term, “beneficial owner” defines specific property rights in equity belonging to a person even though the legal title of the property belongs to someone else. As the Czech register is not fully public, they used the Slovak one which yields 37 companies sheltered by Agrofert with Babiš listed as the beneficial owner and 28 listing his wife Monika who also sits on the boards of both trust funds in charge of Agrofert. In 2017, Agrofert received EU subsidies worth 2.1 billion koruna (€82 million), according to Czech media. “Babiš is in a unique position as a prime minister who is also a dominant recipient of EU subsidies,” Ondracka told AFP. 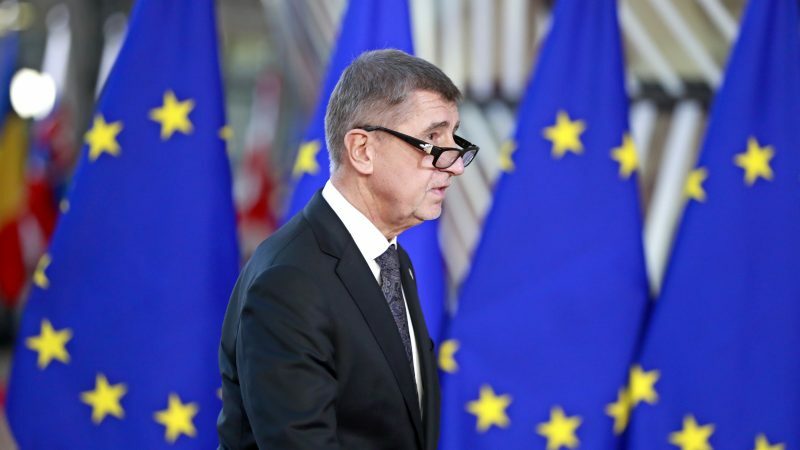 “One could say the EU is co-financing an oligarch who wins more and more elections in one member country,” he said, adding that Babiš now had three options. “Declare that Agrofert, which he still controls, won’t get any public money, sell Agrofert — but not to his wife — or quit politics,” he said. The European Commission is expected to pass its verdict in April at the latest. Independent political analyst Jiri Pehe said the outcome would be important for the EU as “this is the first big case after the directive tightening the conflict of interest rules took effect”.